In my day, by which I mean about 2007, finding flatmates was a pretty low-tech affair. You were generally limited to Uni friends who were still speaking to you after three years of close proximity or whoever you could rustle up with an ad in the local paper. My, how things have changed. Today we’re going to take a look at a few house sharing apps and see if any of them can replace the good old “roommate wanted” poster in the newsagent or a to do list tacked to the front of the fridge. Dubbed “Tinder for roommates” – if swiping left and right is good enough to find someone to share the rest of your life with, why not someone to share a flat with? 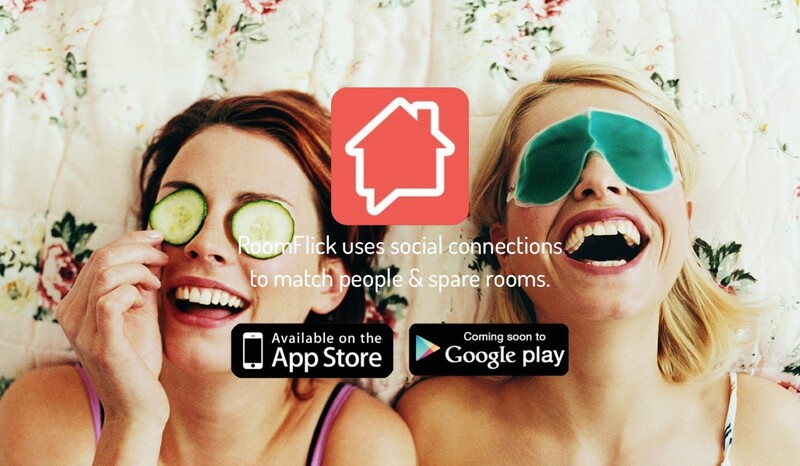 – RoomFlick aims to pair potential housemates based on a few pictures of the digs in question and an info blurb. But the app’s a bit smarter than that since, like Tinder, it also factors shared Facebook friends into the equation. So if moving in with a total stranger doesn’t suit you, it could be worth a look. According to their homepage someone finds a roommate every 3 minutes on SpareRoom, which is not bad going for a site that’s only been live for a little over a decade. No wonder Zoopla is trying to get in on the action by partnering up with EasyRoommate, which has been going a little longer than SpareRoom and has matched up nearly five and a half million people. These sites aren’t new, but the fact that they’re still going strong shows what a vital part of the house sharing space they’ve become. From contributing to the weekly shop to paying for bills and rent, managing the money associated with a shared house can sometimes feel like a full-time job. 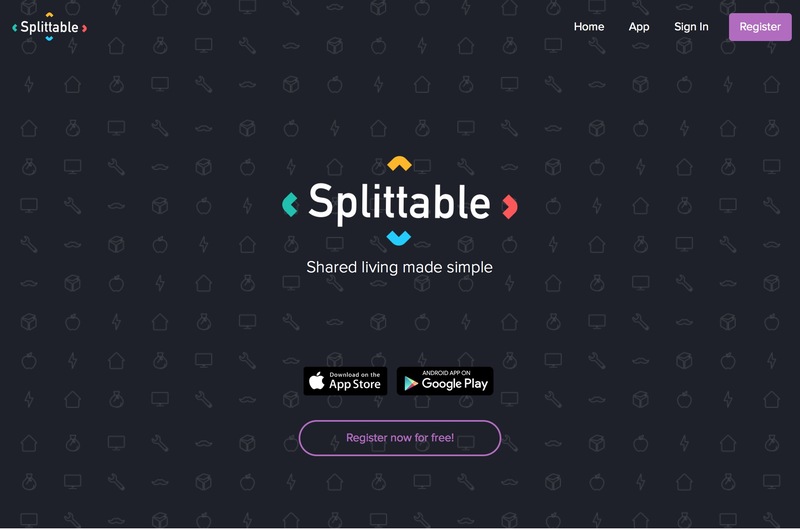 Splittable lets you pop in all the numbers associated with what needs paying every month and keep track of it using colourful graphs and charts. It’s a dream come true for stats and data geeks like me. If the shame of falling into the red on the All Squared meter doesn’t shame housemates into keeping up with their share of the bills, I don’t know what will. Fairshare can also be used to look after expenses, but what I really like about it is the way it gamifies household chores. Like it or not, people are slaves to their phones and all of those pinging notifications. I think most people will get onboard with Fairshare if it will finally get Johnny to take the rubbish out…especially since endless nagging doesn’t seem to do a thing. Last time I was sharing a house, every (and I mean every) item in the fridge was carefully marked with passive aggressive Post-Its indicating to whom it belonged. Apps like OurGroceries suggest that today’s flatmates do things differently, which is probably for the best. And if it helps to avoid three of you having to get through 39 bananas before they go bad, it can only be a good thing. Plus, it must help people bond with their housemates too; I know that nothing would get me home for movie night quicker than getting a notification that the fridge is full of pizza. Well, that’s a bit vague, isn’t it? I’ve decided to include these even though they’re not designed for house sharers, and I’ve lumped them together because they let you make payments to someone using their mobile number. Much easier than having to track your roommates down and get their sort code and account number before you can pay them what you owe. Have a spare room but things aren’t so tight that you need to fill it immediately? You could always think about popping it on Airbnb to make some extra cash without going through the rigmarole of integrating a new full-time flatmate. Probably best to check with the landlord if you don’t own the property as some leases strictly forbid subletting, which Airbnb technically counts as. There are plenty more where those came from: Splitwise, Chored, HomeSlice, Chorma, Chooserr and countless others are all vying for a slice of the house sharing market. So what does that tell us? Flatmates aren’t just for students. Whether they like it or not, many young professionals now accept the fact that they may be sharing their homes (sometimes with complete strangers) well into their thirties. The flatsharing system as it exists now is broken. That’s a bold statement, but it seems the obvious conclusion to draw from the evidence that so many creators are trying to disrupt it. Apps like the above also open up a can of worms about whether or not using technology that already has a significant impact on face-to-face relationships in ways that reduce human interaction even more is a good thing. It’s been a long time since I shared a house with anyone except my significant other, but even I still remember that throwing five or six people together always carries the risk of disaster. If apps like the above can ease transitions or put an end to silly arguments, that must be a good thing.